Explosion protection is a key area of safety engineering. So it is essential to understand the fundamental principles of an explosion and the factors that cause it. 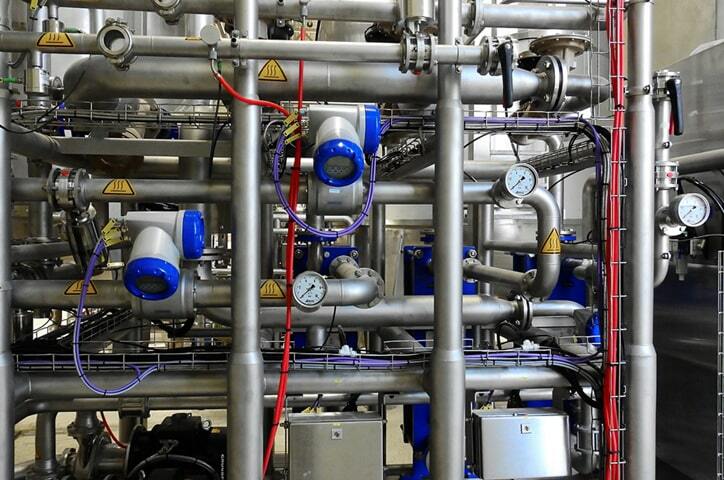 Ensuring the safety of people, achieving a safe and error-free production process, and having a clean working environment are important aims of process technology and process engineering. Complete combustion is a rapid process of oxidation. It is referred to as destructive fire, where with a sufficient supply of oxygen a combustible material is destroyed in an exothermic reaction. As the speed with which the fire spreads increases, the process is referred to as deflagration, explosion, and in extreme cases, detonation, in this order. In the case of complete combustion, the damage caused increases significantly with the propagation velocity. An explosion can occur if there is a combination of a combustible material, oxygen (air), and a source of ignition. If one component is missing, no exothermic reaction will occur. A combustible material which is present as a gas, vapor or dust is called an explosive material. Vapors and dusts are explosive if their droplet or particle size is smaller than 1 mm. Dusts with larger particle sizes are not usually flammable. The vapors, aerosols and dusts which occur in practice have a particle size of between 0.001 mm and 0.1 mm. Explosive atmospheres contain a mixture of oxygen (air) and combustible gases, vapors, mists or dust in atmospheric conditions in which after ignition the combustion process spreads to the entire unburned mixture. In the case of gases, the ratio of concentrations determines whether an explosion is possible. The mixture can only be ignited if the concentration of the material in air is between the lower explosive limit (LEL) and the upper explosive limit (UEL). Some chemically non-resistant materials (e.g., acetylene, ethylene oxide) can also undergo exothermic reactions without oxygen through self-decomposition. The upper explosive limit (UEL) changes to 100 percent by volume. The explosive range of a material expands as the pressure and temperature rise. Similar specifications as those defined for gases can also be made for dusts even though the explosive limits do not have the same meaning here. Clouds of dust are generally heterogeneous and the concentration within the same cloud fluctuates greatly. A lower flammability limit (of approximately 20 ... 60 g/m3) and an upper flammability limit (of approximately 2 ... 6 kg/m3) can be determined for dust. The flash point of a volatile material is the lowest temperature at which vapors of the material built a mixture with the air, which will ignite, when given an ignition source. Temperature of ignition is the lowest temperature at which a combustible substance when heated takes fire in air and continues to burn. The International Electrotechnical Commission (IEC) is responsible for global standards in the field of electrical engineering. IEC publications regarding the explosion protection of electrical equipment and installations are drafted by the Technical Committee TC31 and are deemed as recommendations. All standards observe the latter as far as possible. Until recent years, regulations for gas explosion hazardous areas were stipulated in the 60079 standard series and those for dust explosion hazardous areas in the 61241 series. As many requirements are identical for both, the two standard series have now been grouped under IEC 60079. National regulations may however differ from IEC standards. For this reason the extent to which they may be applied in the respective countries must be verified. The ATEX Directive governs the harmonization of legal provisions in the member states for devices and protective systems in terms of ensuring correct use in potentially explosive areas. The term ATEX is derived from the French words “ATmosphère EXplosible”. In order to address the issue of explosion protection, the European Union introduced ATEX Directive 2014/34/EU for manufacturers and Directive 1999/92/EC for operators. These directives then had to be translated into the national legislation of the different member states – in Germany, the 11th Product Safety Ordinance (11th ProdSV) and the German Ordinance on Industrial Safety and Health (BetrSichV). In order to determine the appropriate procedure to be used for conformity assessment, the manufacturer must first decide which equipment group and category the product belongs to, based on its intended use (see table on next page). Equipment for use in underground mining and the connected surface installations which are endangered by firedamp (methane) or combustible dusts. Equipment for use in all other areas which might be endangered by an explosive atmosphere. Equipment categories are assigned to the equipment groups in Directive 2014/34/EU. Categories M1 and M2 are determined for equipment group I. Three categories (1, 2, and 3) are defined in equipment group II. The category is used to determine the connection with the zones in operator directive 1999/92/EC. Safe if two faults occur independently of one another. For reasons of safety, it must be possible to continue operating products even if the atmosphere is explosive. In normal operation, protective measures remain effective even under difficult conditions. It must be possible to switch off these products if an explosive atmosphere occurs. Devices can still be used in Zones 0, 1, 2 (G) and 20, 21, 22 (D) and continue to be operated. Safe in normal operation and if common faults occur. Devices can still be used in Zones 1, 2 (G) and 21, 22 (D) and continue to be operated. Devices can still be used in Zones 2 (G) and 22 (D) and continue to be operated. Table 1. Requirements of equipment groups and categories. The zones are classified based on the frequency of the occurrence of explosive atmospheres. The explosion protection regulations of the German Social Accident Insurance Institution for the raw materials and chemical industry (BG RCI) contain additional support and advice regarding zone classification. Info: Zones for areas with a danger of gas explosions are defined in EN 60079-10-1. Table 2. Zones for areas with a danger of gas explosions. Table 3. Zones for areas with a danger of dust explosions. In the USA, classification is based on zones and divisions in accordance with the National Electrical Code (NEC). In Canada the procedure is similar, but follows the Canadian Electrical Code (CEC). The basis for the standardized types of protection are the requirements for the surface temperature, the air clearances and creepage distances, the marking of electrical equipment, the assignment of the electrical equipment to the area of application, and the zones. The ATEX Directive requires that devices are classified into equipment groups. Underground mining is assigned to equipment group I. All other potentially explosive areas are assigned to equipment group II. The ignition temperature of an explosive gas atmosphere or dust cloud is the lowest temperature of a heated surface at which a mixture of air and combustible substances in the form of gas, vapour or dust may ignite in the specified conditions. Combustible gases and vapours are classified into temperature classes according to their flammability. The maximum surface temperature of electrical equipment must always be lower than the ignition temperature of the gas or vapour and air mixture in which it is used. Of course, equipment classified in a higher temperature class (e.g. T5) may also be used for applications in which a lower temperature class is required (e.g. T2 or T3). North America has a system with further classification into temperature subclasses. Combustible dusts are not classified into temperature classes. The minimum ignition temperature of the dust cloud is compared with the maximum surface temperature of the equipment, taking a safety factor into account. The maximum equipment surface temperature must not exceed two thirds of the dust cloud ignition temperature. Since dust can also settle on equipment, the ignition temperature of the dust layer (smouldering temperature) must also be considered. The smouldering temperature is the lowest temperature of a hot surface on which a dust layer of 5 mm can ignite. The maximum permissible surface temperature of the equipment depends on the type of coal dust deposit. Table 4. Temperatures for Group I. The explosive atmosphere can be prevented from igniting if the surface temperature of the equipment is lower than the ignition temperature of the surrounding gas. The surface temperature is valid for all parts of an item of electrical equipment that can come into contact with the explosive material. The majority of gases can be assigned to temperature classes T1 to T3. Intrinsic safety protection, as opposed to other types of protection (such as increased safety), refers not only to individual items of equipment, but to the entire circuit. A circuit is described as intrinsically safe if the current and voltage are limited to such an extent that no spark or thermal effect can cause an explosive atmosphere to ignite. In increased safety protection, voltages up to 11 kV can be brought into the potentially explosive area. Increased safety is particularly suitable for supplying motors, lamps, and transformers. The protection principle is based on constructional measures. Air clearances and creepage distances are determined for the live parts and divided into voltage levels. This prevents electrical sparks. In addition, IP54 protection (EN 60529) must be satisfied at the very least. Limiting the surface temperature ensures that the explosive atmosphere cannot be ignited at any point, not even inside the housing, during operation. The housing does not rule out the ingress of gases. In flameproof enclosure protection, an explosion is prevented from spreading by the housing design. An explosion that occurs inside is not able to ignite the explosive atmosphere surrounding the housing. This leads to very robust housings. The housings have covers and entry points, e.g., for cables and lines. The maximum permitted gap that is present is dimensioned in such a way that it prevents the explosion from spreading from inside the housing to the surrounding explosive atmosphere. In the case of cable and line entries in Ex d protection, it is not permitted to grease the thread or remove rust with a wire brush. Doing this could change the gap, thus destroying the protection principle. The manufacturer's specifications must be strictly observed. The principle of molded encapsulation, sand filling, and oil immersion protection is to surround possible sources of ignition in an item of electrical equipment with the medium of a molding compound, sand or oil. This prevents the explosive atmosphere from igniting. Voltages from 10 … 11 kV can also be used in these types of protection. Pressurized enclosure protection describes methods that use overpressure to prevent an explosive atmosphere from entering into housings or the control room. The ambient pressure surrounding the housing is always lower than the pressure inside. Three forms of pressurized enclosure are possible (see table). In the case of static overpressure, the housing must be hermetically sealed. There is no loss of pressure. More common, however, are methods in which the overpressure is maintained by compensating the leakage losses or by continuous purging. 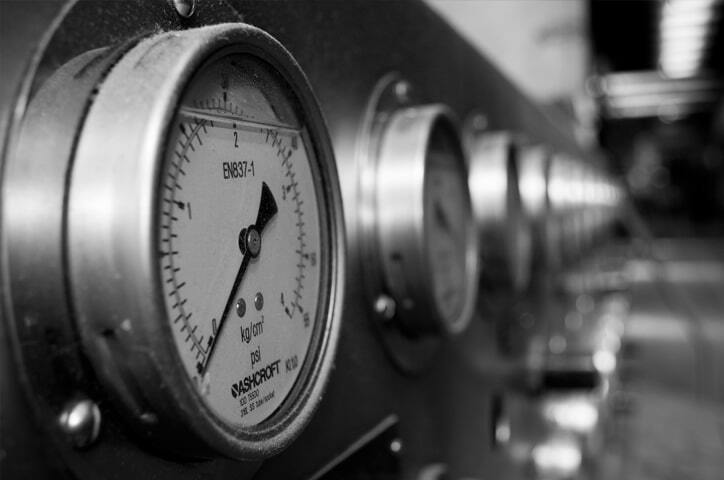 The overpressure is usually created by simple compressed air. Ex p protection requires a monitoring unit that reliably switches off the electrical equipment inside the housing as soon as sufficient overpressure is no longer present. 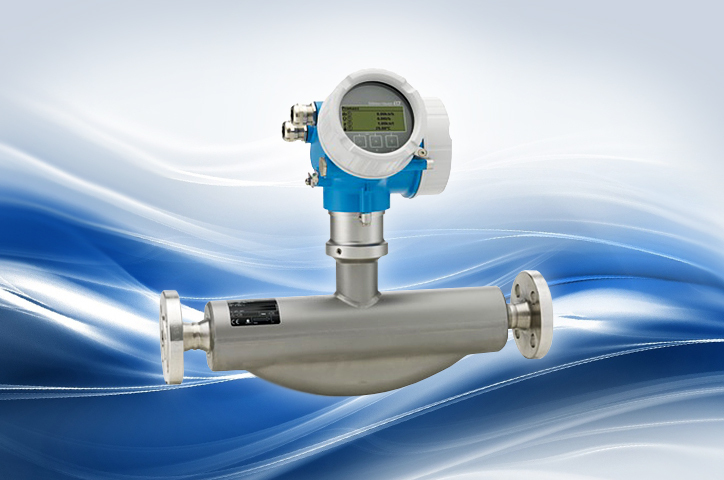 The monitoring unit must be designed in a different type of protection so that it can also be operated without overpressure. Equipment can be operated inside without taking explosion protection into account. The surface temperature of the equipment must not ignite the penetrating explosive atmosphere once the overpressure has dropped. If operational conditions dictate that a device or component inside the housing must not be switched off, it must be protected against explosion with a different type of protection. Figure 2. Marking according to ATEX Directive. Figure 3. Marking according to EN 60079-0.